Bernie Nunez stepped to the plate in the ninth inning, his team down by a run with one on. With one swing, Nunez' Bend Bandits went from being down a run to the Mission Viejo Vigilanties to being up one and winning the game. "I don't even know what [pitch] I hit," Nunez told The Los Angeles Times after that June 1997 contest. "I just went up there wanting to make contact. I wasn't sure if it was out of the park, but when I saw the center fielder give up I knew I had it." Nunez was playing in the independent Western League, a decade after he played his first pro season in the Blue Jays organization. He was also playing independent ball after an affiliated career that only saw him make AA, but never the majors. 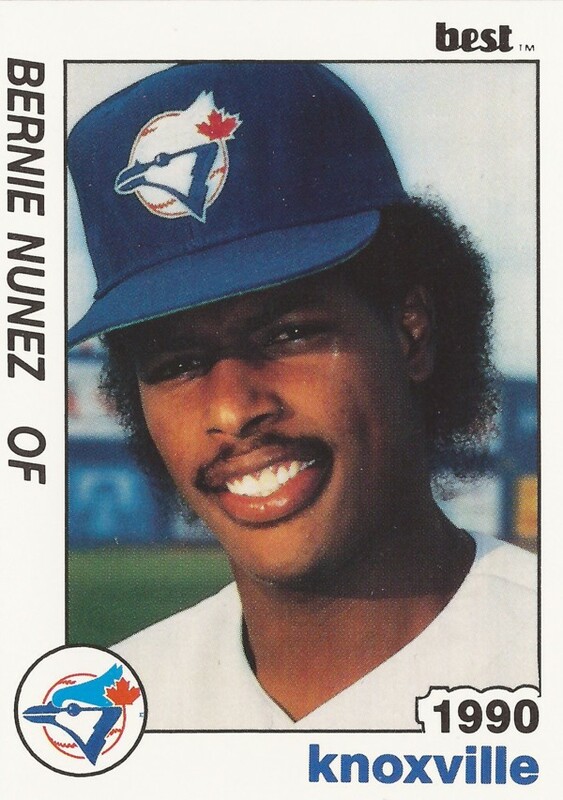 Nunez' career began in 1997, signing with the Blue Jays out of his native Dominican Republic. Nunez is also known by his full name Bernardino Nunez. He started at short-season St. Catharines, hitting .204 in 66 games. He moved to single-A Myrtle Beach in 1988, hitting .260 in 130 contests. He hit his first of 11 home runs on the year in May, against Sumter. He made single-A Dunedin in 1989, hitting .271 with eight home runs. In 1990, he made AA Knoxville. At Knoxville, Nunez' average dropped to .233. Nunez returned to Knoxville in 1991, but hit just .197 in 82 games. He isn't recorded as playing in 1992, but he returned in 1993 for one final appearance in affiliated ball with the Cubs at single-A Daytona Beach. He hit .231 in 124 games. Nunez played out 1995 with independent Palm Springs, hitting .303, then played three more seasons in the Western League, two at Bend and one at Pacific. With Pacific in 1998, Nunez hit .254, with 13 home runs, ending his career.